Home › One Million Climate Jobs › Getting the energy mix right – towards a publicly driven, socially owned renewable energy sector! Getting the energy mix right – towards a publicly driven, socially owned renewable energy sector! In his State of the Nation address of 26 June 2014, President Zuma called for “a radical transformation of the energy sector, to develop a sustainable energy mix that comprises coal, solar, wind, hydro, gas and nuclear energy”. 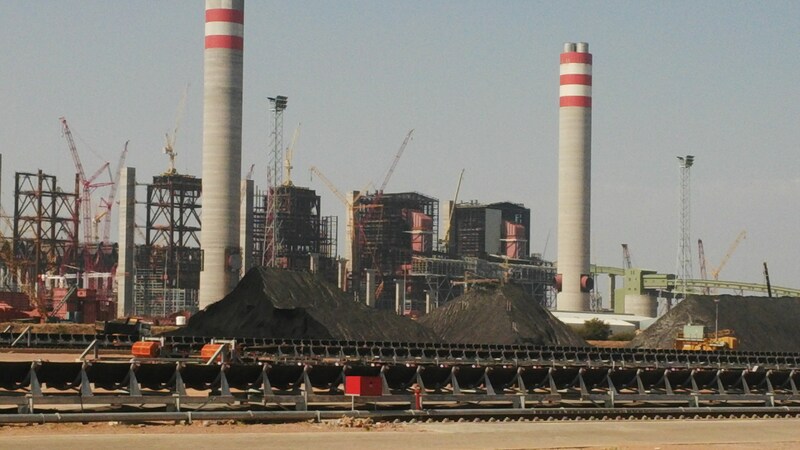 Not content with building Medupi and Kusile – both huge coal-fired power plants, the government is now planning Coal 3. 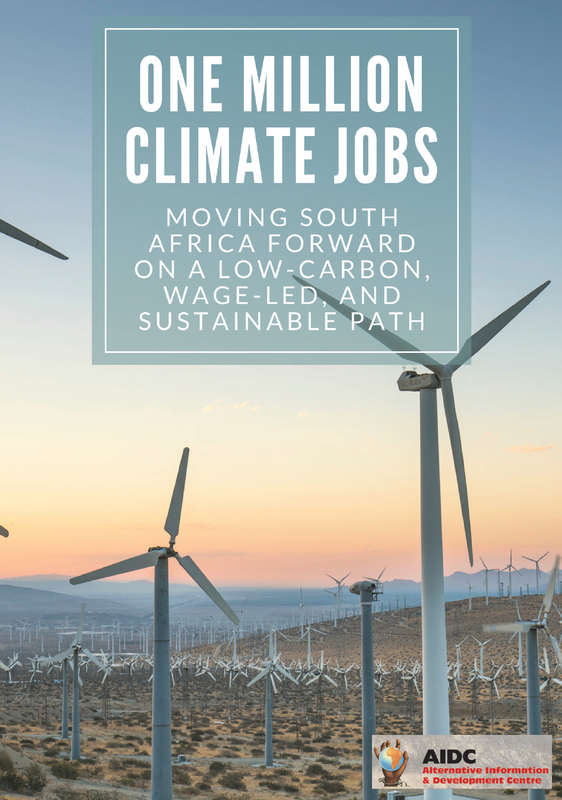 Already South Africa is the largest emitter of greenhouse gasses on the African continent, and the 12th largest in the world – simply because 90% of our electricity is generated by coal. Now the government is planning to add yet another huge coal-fired, greenhouse-gas emitting, generating plant to the mix. In addition to coal, the government, according to Zuma, is also planning more nuclear plants, despite the update to the Integrated Resource Plan (IRP) 2010 – 2013, noting that the revised demand projections indicate that no new nuclear base-load capacity is needed until 2025, if then. More recently the Minister of Energy, Tina Joematt-Pettersson noted that “the nuclear expansion option is a central feature in our future energy mix.” Nuclear energy is dangerous (think of Fukushima), does not create many jobs and is extremely expensive to build. Shale gas is also seriously being considered by government, despite fears of its impact on water – both in terms of how much it will use in an already water-scarce country, and its potential to contaminate groundwater. If coal, nuclear and shale gas do not meet environmental and economic criteria, what is the alternative? It is, of course, renewable energy – the sun, wind, waves – natural resources which never run out, and for which there is no charge. Renewable energy does feature in the government’s energy mix – but as a very poor second cousin, with only 9% of electricity supply expected to come from renewable energy sources by 2030. In pronouncing on the government’s vision of how the energy mix should look, Zuma undermined in two important ways an energy mix that could begin to address the serious social and ecological needs of this country. Firstly, in the context of climate change, the government should have taken decisive steps towards the rapid roll-out of renewable energy instead of introducing yet more coal. The most recent Intergovernmental Panel on Climate Change (IPCC) report makes clear the link between human actions and global warming. The burning of fossil fuels, particularly coal, is a major contributor to the emission of greenhouse gasses. Unless we cut down drastically on these emissions, we will soon reach the rise of 2% in global temperature that scientists say is the tipping point. South Africa’s use of coal-generated electricity cannot end overnight. This will only happen in the long-run. But in the meantime, more renewable energy must be rolled out. Research from a range of sources, such as WWF and Greenpeace, has shown that it is possible to move far more quickly to increase the share of renewable energy in the energy mix than the government acknowledges. Not only is the introduction of more renewable energy important because of our efforts to reduce greenhouse gas emissions, but also because it has far greater potential than conventional, fossil-fuel generated electricity to increase access to electricity and thus help to alleviate poverty and reduce inequities in our society. Unlike electricity, which is generated by large coal-generated plants and then fed into the grid for transmission and distribution, renewable energy plants can be small-scale, locally based, off-grid and rapidly established. 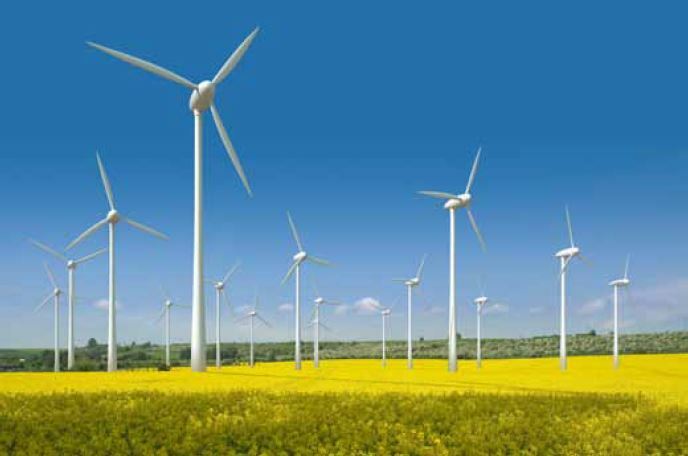 Thus in rural areas where the grid has not yet reached, and even in urban areas, wind turbines or photovoltaic solar panels can be rapidly set up to generate electricity for the surrounding community. Critics of renewable energy point to the problems of storage. What happens when the sun doesn’t shine, or the wind doesn’t blow? They also point to technological issues; a smart grid technology would be needed to properly roll out renewable energy. But technological answers to these questions are being developed, and are not the insurmountable problem that many want to portray. Another frequent argument heard against renewable energy is that the technology is expensive. And yet Medupi and Kusile are two years behind schedule, and are costing the government – and therefore the taxpayers – R130bn each instead of R79billion. To meet the demand for energy until these mega plants come online, Eskom has been spending more than R10 billion on diesel generators. Not only is electricity from this source expensive, but the toll on the environment is severe. While Medupi and Kusile are running badly behind schedule, numerous renewable energy projects, awarded under the REIPPP programme to various companies, are coming online and feeding into the national grid. For instance, Scatec Solar has installed capacity of 115 MW through two utility scale solar PV plants that it has established at Linde and Kalkbut in the Northern Cape. This illustrates the potential for renewable energy plants to be up and running and contributing to the energy needs of society far quicker than fossil fuel electricity-generating plants. Secondly, the government has perpetuated the privatisation of the renewable energy sector. Instead of the government taking ownership of the renewable energy programme and developing it as a publicly-driven, socially owned sector, renewable energy is being rolled out via the private sector through the Renewable Energy Independent Power Producer Programme (REIPPP). REIPPP makes renewable energy subject to the profit motive, as well as effectively capping the amount of electricity that can come from renewable energy sources. 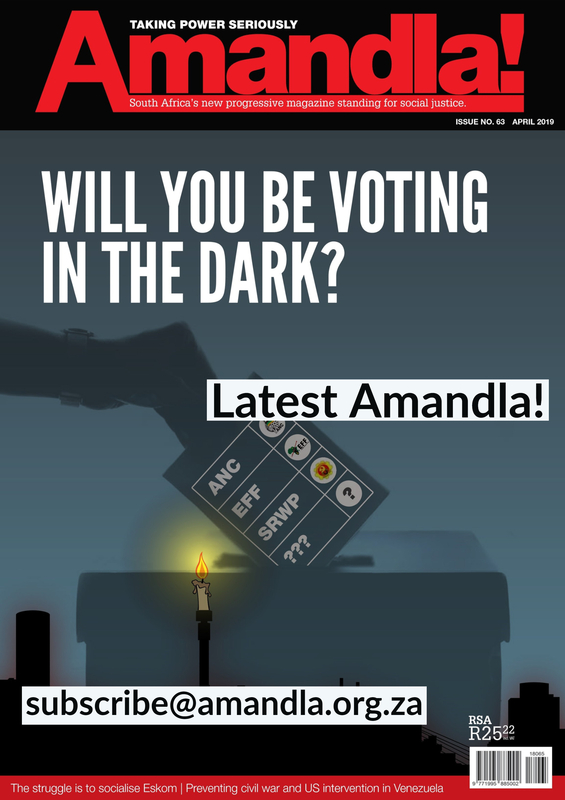 While the labour movement and social movements have fought long and hard against privatisation in South Africa, including against the privatisation of Eskom, the effective privatisation of the renewable energy sector has been allowed to go ahead with hardly a murmur of opposition. Renewable energy is the energy source of the future, and yet we have handed it over, practically lock stock and barrel to the private sector. Having privatised renewable energy, rumours are now surfacing that the government is once again considering the privatization of Eskom. Although these rumours have been refuted by Lynne Brown, the minister of public enterprises, in fact the government is going ahead with privatisation through establishing public-private partnerships in the coal sector. In June 2014, the Department of Energy called for potential independent power producers to register their interest in submitting a bid as part of the Coal Base load IPP Procurement Programme. They are planning to roll out this programme – much as they have the REIPPP. What should our response be to an energy sector, both coal-based and renewable-based, which is being privatised primarily to continue to meet the needs of the mineral-energy complex in South Africa, rather than the vast unmet social needs that exist? We need a strategy that focuses on a shift towards a publicly owned renewable energy sector, with the shift taking place within a framework of a “just transition”, so that coal miners and other workers who will be affected by the shift are not left out in the cold, but are incorporated into new opportunities. A shift towards renewable energy, which combines utility scale plants and small local plants holds massive potential for job creation and decent work. We need wage-led growth to be the centre of South Africa’s development strategy. A shift towards renewable energy, which combines utility scale plants and small local plants holds massive potential for job creation and decent work. We need wage-led growth to be the centre of South Africa´s development strategy.